Thailand has been through a long journey to try to improve its education system. The first Thai language textbook, Chindamani, was published during the reign of King Narai the Great (1656 – 1688). As the printing press entered Thailand in the mid 1800’s, printed books were available in Thai language. Girls in Thailand were not admitted into the educational system until the end of 19th century. The first government school for girls was set up in 1901, and the first teacher training school for women was set up in 1913. The first university in Thailand, Chulalongkorn University, was established in 1917. Chulalongkorn University is named after King Chulalongkorn (Rama V, 1868 – 1910) and it is regarded as one of the best universities in East Asia (MOE, 1998). Education is divided into four levels in Thailand. Pre-school education is for kids under age 6. Primary education starts when the kids are 6. Primary education is called Prathom in Thai, and it usually lasts for six years. After Prathom 6, the students will receive Secondary Education. Secondary Education is called Matthayom in Thai, and it is divided into two parts: lower secondary education, and upper secondary education. Matthayom 1 – 3 is considered to be lower secondary education. After Matthayon 3, students take a national entrance exam for upper secondary school and choose academic or vocational stream for their upper secondary education. Academic schools prepare students for college education, while vocational schools prepare students for employment. Thai government provides 12-year free basic education, which includes 6 years of Prathom, and 6 years of Matthayom. The 6 years of Prathom and the first 3 years of Matthayom are compulsory education guaranteed by the Constitution (“Educational System,” n.d.). The admission of higher education sector after Matthayom is largely based on the High School Entrance Exam taken at the end of Matthayom 6. Universities and colleges are the main institutions that provide higher education in Thailand. According to the Ministry of Education in Thailand, there are over 2.2 million students currently enroll in the higher education sector, and the participation rate of university age students has significantly increased in the past few years. There are a total of 780 public and private higher education institutions in Thailand. 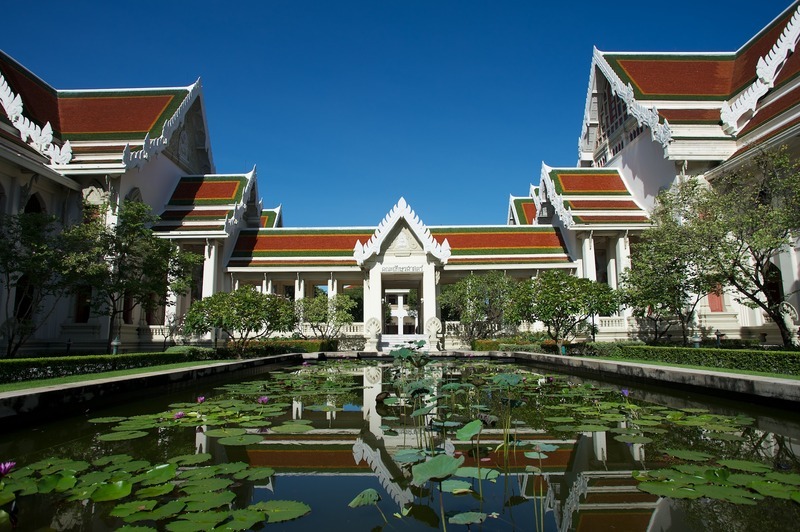 Thai universities and colleges offer excellent programs in studies of art, medicine, humanities, and information technology. However, many young Thai citizens still prefer studying subjects such as law and business abroad (MOE, 2008, p.4). The increasing amount of trades and interactions with foreign countries urges people in Thailand to learn English. As the founder of the first modern school in Thailand, King Rama V (1868 – 1910) realized the importance of English, and he set up an English School in Palace to prepare princes and court children to study abroad. There are around 27% of Thai populations are English speakers. In large cities such as Bangkok and Chiang Mai, most schools include English as part of their curriculum. However, in most of the rural areas, English is hardly found in schools. Hotel stuff in Thailand might speak passable basic English, while street vendors and shop keepers might only be able to show the prices on a calculator without speaking a word in English. The Thai government sees the demand of English in business, and the government is working on English programs in order to improve the overall English skills of Thai (“Is English Spoken,” n.d.). The English education in Thailand needs improvement; at the same time, the standard tests are in the process of reform in Thailand. 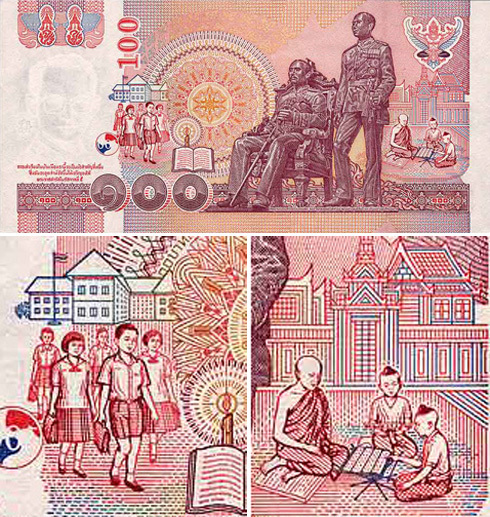 Thai students are required to pass the O-NET (Ordinary National Educational Test) for the completion of each level’s education. O-NET consists 8 subjects, which are Thai language, social science, English, Mathematics, science, health and physical education, arts, and vocational education and technology. The most recent version of Higher Education School Entrance Exam comprises the compulsory General Aptitude Test, which covers reading, writing, analytical thinking, problem solving, and English Communication. O-NET has suffered from criticizes since it came out. Students’ extremely low scores in O-NET make the credibility of the test doubtful. Education reform is a hot topic in Thailand these few years (Kaewmala, 2012). While standard tests in Thailand craves for reform, the requirement of wearing school uniforms seems to be a tradition that no one will want to change. Uniform is required at all levels of schooling in Thailand. Uniforms show the social states of a person, and the different ways to carry the uniform also shows the different social states of institutions. A traditional dress code for boys comprises knee-length shorts with white open collar shirts. Girls are required to wear a knee-length skirt, and a pale white blouses with white ankle socks and black school shoes. Boys might start wear long pants instead of shorts from middle school. The color of pants for boys is usually khaki, and the color of skirts for girls is usually blue. Theoritically, uniforms help to create a more equal social status for students at school, because students will not be able to tell the social status of other’s family from other’s outfit. Uniform is an important tradition in Thai education system (“School uniform,” n.d.). Besides the different requirement of dress code at school, the official holidays in Thai schools are different from the western school holidays. In government schools, the two major holidays are in March and October. The March holiday is usually two months long, while the October holiday is usually a month long. There are a few short holidays during the school year. Students get 3-5 days off school to celebrate the New Year in January. On Mahka Bucha Day (a Buddhist holiday) in February and on Asanha Bucha Day (another Buddhist holiday) in July, schools are closed and students go to local temples to give offerings to monks. Students also get a day off on Royal Ploghing Day, which is connected to the planting season for Thai farmers, in May, a day off on August 12th, which is the Queen of Thailand’s birthday and Mother’s day, and a day off on December 5th, which is the King of Thailand’s birthday and Father’s Day (James, 2009). The school holidays show the significance of Buddhism and the high social status of King and Queen in Thailand. The tradition of uniforms reveals the importance of group belonging and social class in Thai society. The standard test system and English education program are the areas that the government is trying to work on in order to improve Thai education system, and the two issues draw a lot of attention from media and politicians. The glimpse of school level in Thailand enables us to gain a basic understanding of Thai students’ life, while the history of Thai education system enables us to further our understanding of nowadays Thai education system and Thai culture.